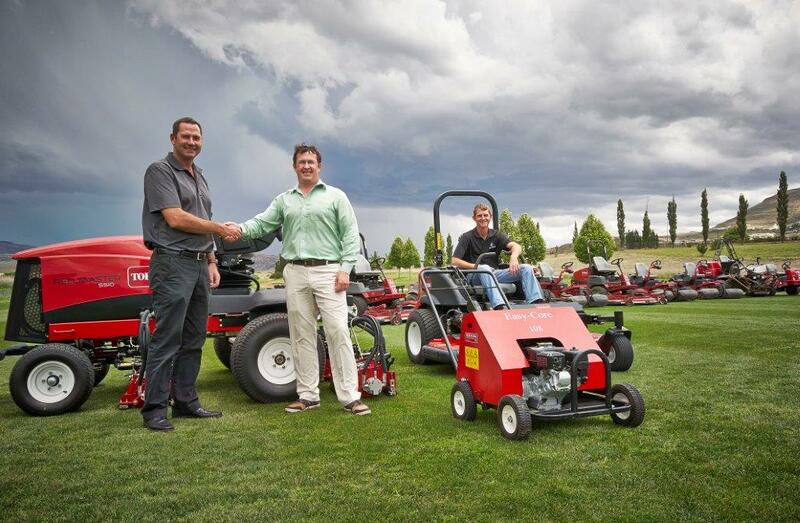 Based on the evaluations, Toro equipment emerged as the top choice, delivering the right combination of performance, reliability and technology to meet the exacting standards of the world’s most renowned golf complex. 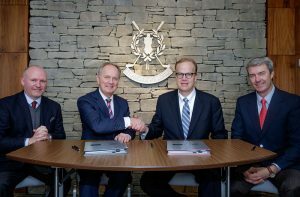 Danny Campbell, Commercial Director (SAL), Euan Loudon, Chief Executive (SAL), Rick Olson, President and CEO (Toro) and Andy Brown Senior Sales Manager, Commercial Equipment, Golf Irrigation and Corporate Accounts, Europe, Middle East and Asia (Toro). 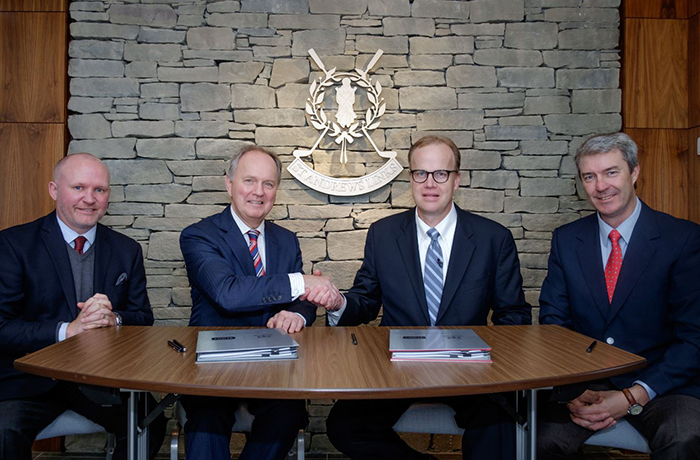 SPE’s Steve Mangold says that St Andrews is truly hallowed ground for players and golf fans around the world and this newly signed contract is a significant statement of Toro’s quality especially after such an extensive review process. More than 230,000 rounds of golf are played on the seven courses each year, and St Andrews has hosted The Open Championship 29 times since 1873 — more than any other course on The Open rota. It is a revered and prestigious icon, drawing players worldwide to experience golf in its purest form. Delivering on these players’ expectations demands the best possible course conditions. That is why selecting the right equipment and irrigation partner was such an important choice. 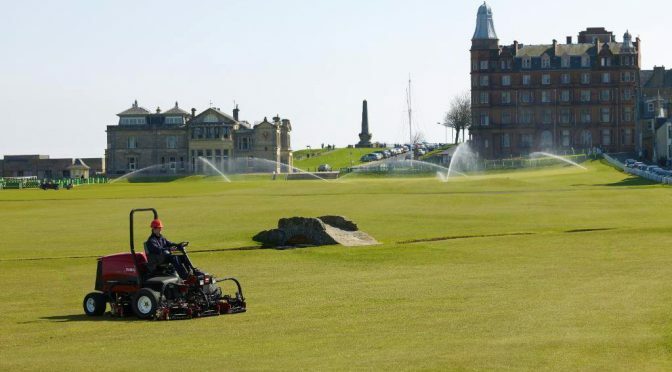 Toro has been St Andrews Links’ preferred supplier for more than 15 years, and this choice has been validated once again by the recent contract review process. “St Andrews Links represents the very essence of the game of golf, and we have a responsibility to provide players with an experience like no other,” says Euan Loudon, Chief Executive of St Andrews Links Trust. Toro also shares St Andrews Links’ commitment to the future and innovating to meet the needs of a changing marketplace. As a leading manufacturer of golf equipment and irrigation systems for more than 100 years, Toro has a deep understanding of the industry that serves as a foundation for the development of new solutions to promote sustainability and performance. This article was featured in the Tee and Sandwedges April 2017 Edition. This article was featured in the Landscape SA May-June 17.